Tanya Harrison lives near the Cypher Systems Group Greenway and she started a petition to change the rules around bringing horses on the trail. Horses are forbidden from the Cypher Systems Group Greenway, a trail that runs from Amherstburg to Essex. An Essex woman wants to be able to ride her horse on one of the region's newest trails — the Cypher Systems Group Greenway, a former rail line that connects Amherstburg and Essex. The trail opened last year and unlike much of the nearby Chrysler Canada Greenway, horses are forbidden. Tanya Harrison launched an online petition on the issue, saying there are few other options for horseback riders in Essex County. "There is really is nowhere that I know of, aside from people's own personal properties," she said. "We're allowed to ride down the road, but that can be quite dangerous. A lot of [drivers], they don't do what they're required to do." Tap on the player to hear her conversation with Afternoon Drive host Chris dela Torre. Kevin Money, director of conservation services for the Essex Region Conservation Authority, which operates the trail, said they are researching the matter and launched a survey this week to gauge public support of the issue. "We're seeking comments and thoughts from anybody who uses the greenway — whether it be cyclists, a dog walker, dog sledder, you name it," he said. "There's a lot of people who use our greenway system." 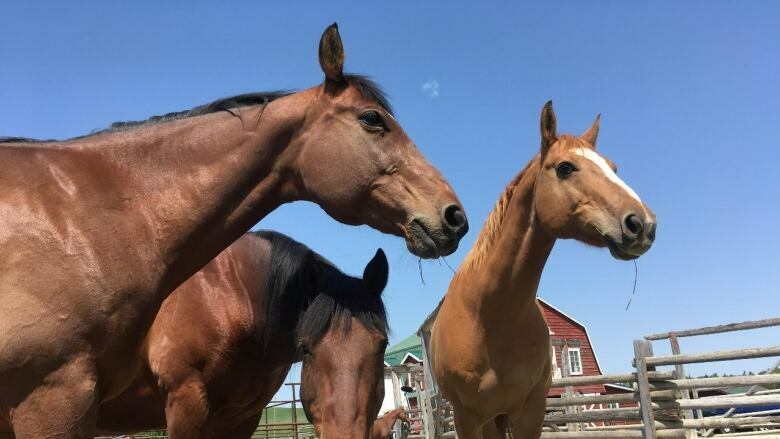 Money said staff is also considering the liability and budgetary implications of allowing horses on the trails, and will present that research, along with the results of the survey, to the conservation authority board in the fall.